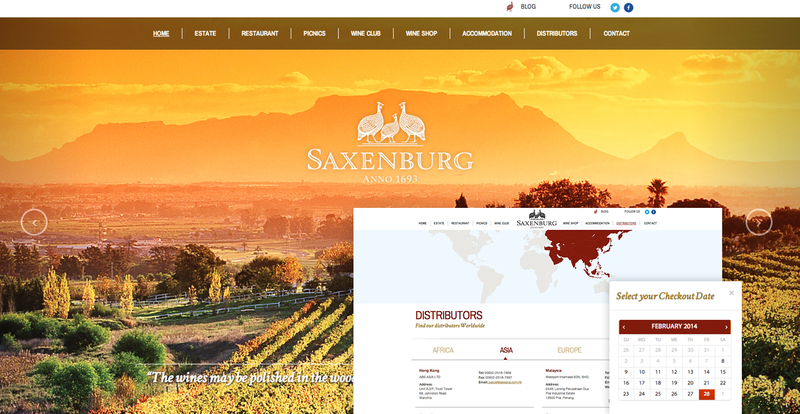 DEEP has developed this elegant website and user interface for one of South Africa’s most-awarded wine estates. Along with the aesthetics, we’ve also customised the Content Management System for our client’s ease-of-use including Social Media and Blog integration. The site was designed in such a way to pave the way for the additional e-commerce functionality to be launched soon. Technology used: WordPress, HTML, JQuery and CSS. Award-winning and highly respected industrial designer Haldane Martin chose us to create a website fitting of his reputation. Our brief was to showcase Haldane’s work on a website exuding uniqueness and simplicity while sitting on the cutting-edge of design. Technology used: WordPress, XHTML, PHP, Ajax, JQuery and CSS. 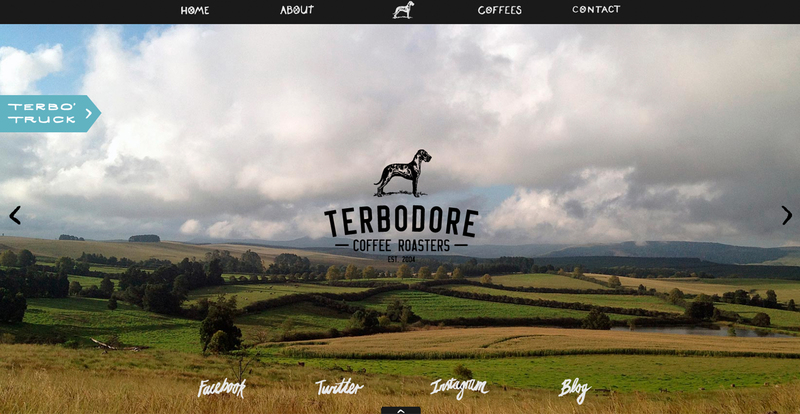 We love the feel of Terbodore’s brand. DEEP designed the logo, distinctive packaging and Terbo Truck branding. The website incorporates the creative craft approach of this trendy artisan coffee roaster. Hand-drawn menu items and visual elements make for a unique interactive experience. We designed and developed a robust eCommerce system using Magento while building a fully customised front-end. The design and user interface was kept elegant and simple in order to maximise and fully showcase the designer wares on sale. Technology used: Magento, XHTML, PHP, Ajax, JQuery and CSS. DEEP developed a brochure website with a fresh update for their online visibility. Mobile compliant and browser compatible functionality was added for seamless viewing on mobile devices while remaining easy to navigate with intuitive Web Design. Brief, concise text content and clean visuals describe their portfolio of work. Google Map and Social Media integration was utilised for extended company info. Objects Of Desire, New And Old From Around The Globe. A global mixture of beautiful and exotic, limited edition and designer products showcased as an online pop-up event. We’ve introduced simple, tasteful design and user-friendly E-commerce functionality to showcase a range of wares including clothing, accessories, books, jewellery, art, ceramics, homeware, wine and edible treats delivered to your door. From brand identity to website design and video production, DEEP created a cohesive look and feel for this company. The perfect solution to a fresh, simple and fun brochure site to promote their services. We utilised Websafe fonts for browser compatibility and made the site mobile compliant for viewing on smartphones and tablets. DEEP designed and developed this diverse Magento eCommerce website with a completely custom front-end, including Splash Screen with video functionality and changeable website background images and colours to match the season. The user interface was kept elegant and simple in order to maximise and fully showcase the featured beauty products. Completely custom front-end Web design for this International client. Incorporating the brand colours for intuitive category content separation. Interactive image sliders and visuals with hover-over effect for additional movement. Downloadable content for additional product info and quick links to ingredient descriptions. Zoom International required a website that portrays the quality and experience of their supply chain management cycle. We designed a customised brochure site focussing on an interactive visual experience for the viewer. Both large and smaller hover-over image sliders display Zoom’s diverse product offering portfolio. Convenient contact forms were also added along with Google map integration. Modern intuitive custom Web design with interactive ‘call-to-actions, image sliders, testimonial widget and Social Media integration makes for a perfect brochure site. The copy and design lends personal approach with email hyperlink for client enquiries and instant customer feedback. Downloadable content and user-friendly CMS. 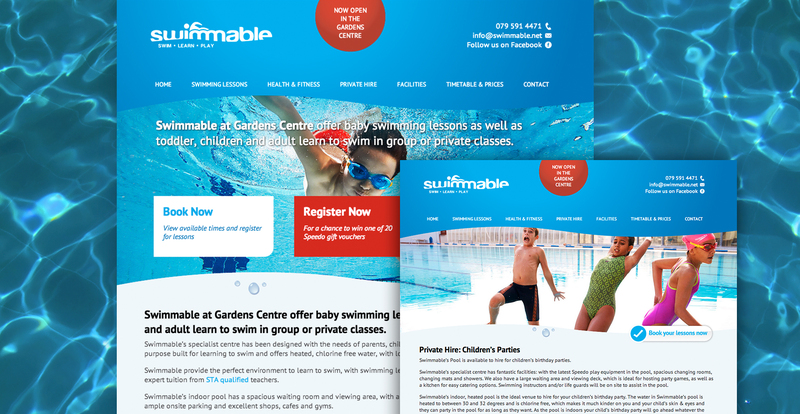 Swimmable is a new concept in aquatic centres that required a fresh brand identity when British entrepreneur, Tom Corcoran, brought this UK concept to South Africa. Our first projects were to develop his brand, followed by an impactful web presence. The result needed to be visually appealing with easily-accessible information to allow for natural user engagement by parents and children alike. 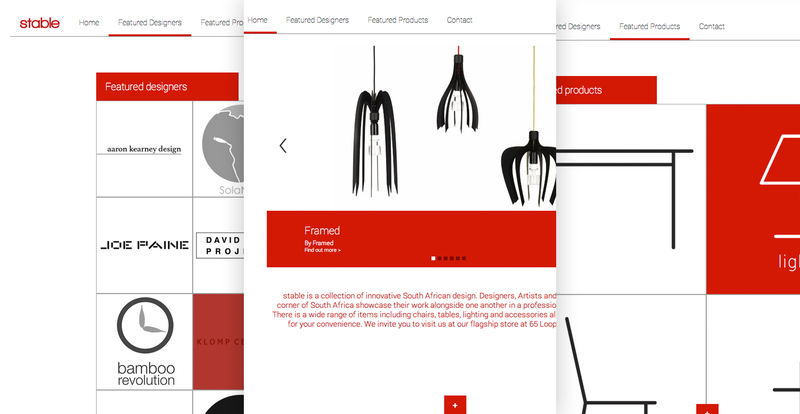 We created a modern timeless website with custom front-end to showcase a range of innovative South African design, with convenient browsing of content spread across four main categories. When we were tasked with the design of the website, we decided to create a site that functions like an interactive storyboard. 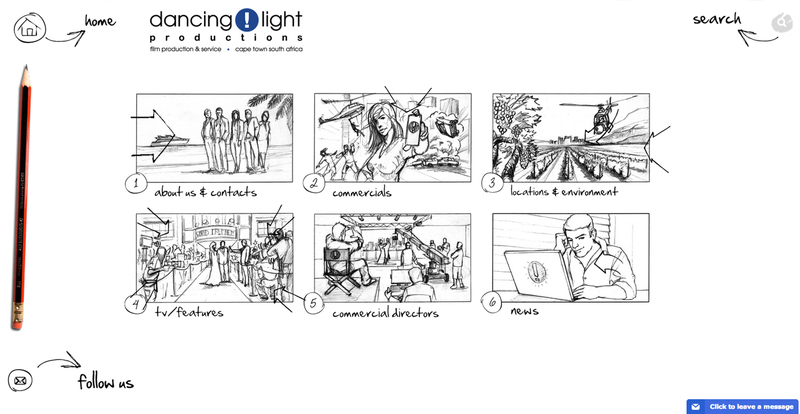 Hand-sketched black & white illustrations change to full colour when hovered-over, while integrated multimedia functionality livens up their video portfolio. 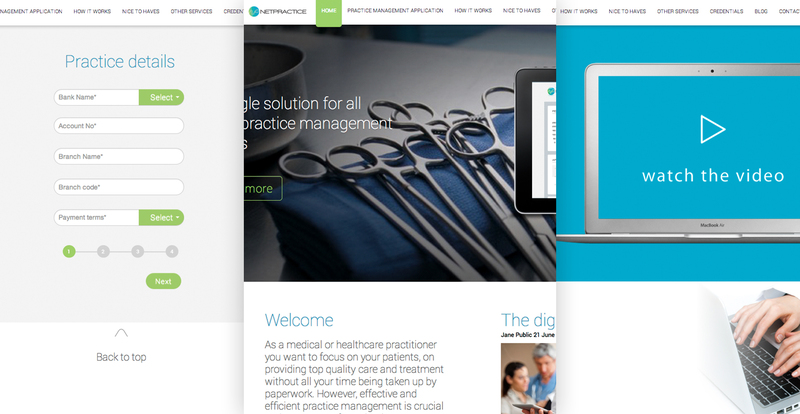 Netpractice is an application that helps to automate the administration of medical practices. The brief required innovative execution and intuitive website navigation for an info-rich, content heavy website. We delivered a clean, structured design with moving visuals and call-to-actions for detailed content. Another clean corporate brochure website, DEEP designed the perfect online version of a business card. The site was created with the user in mind by offering simple, intuitive navigation and succinct content. Ideal for the companies’ online visibility. 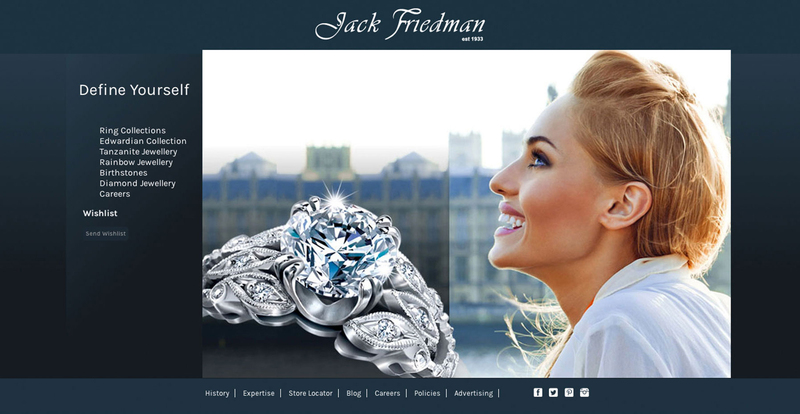 Timeless and classic web design with custom illustrated iconography and abstract photography. 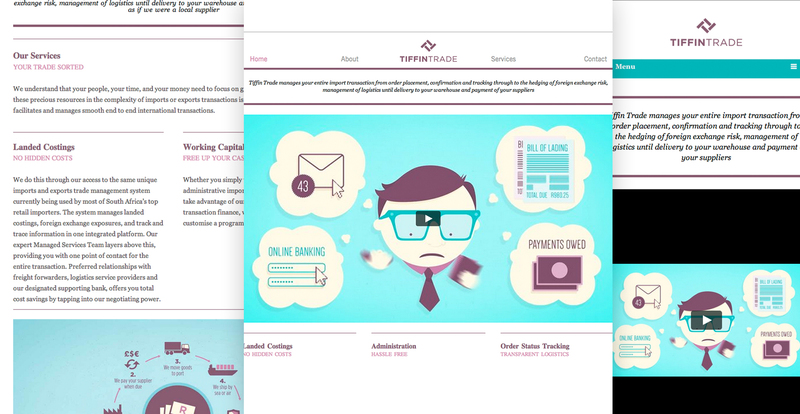 We were briefed to create something calm and credible for an info-rich website with a minimalistic feel. Information was elegantly packaged to create an uncluttered site that was easy to navigate. DEEP was tasked with designing the online version of the company catalogue. The result is a clean, visual and information rich brochure website. Changing the world one website at a time. Africa Green Media provides unbiased content, discussions and clarity on complex environmental issues of our time. Their mission is to be a global leader in connecting role players within Green Living industries. Client opted for simple, calm design featuring informative content, events calendar, blog and diverse subject categories. The sites’s primary functions are to showcase the client’s product ranges while allowing users to interact with the company. We’ve built an interactive dual product slider and preview that allows users to scroll through the product offerings while Wishlist, Sharing and Request a Quote functionality allows users to request information and share product details. Other functions include email notifications, Social Media and Blog integration with Social Media sharing. Secondary navigation allows users to learn more about the company. 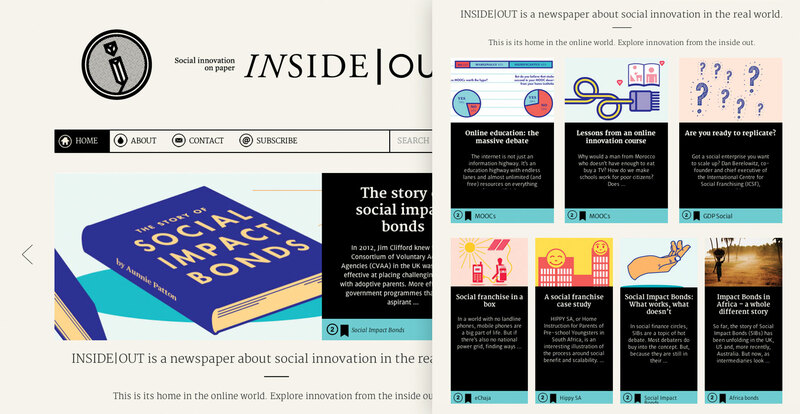 DEEP designed the printed version of Inside/Out and it was only fitting to also create the online version of this quarterly newspaper for a cohesive brand look and feel. 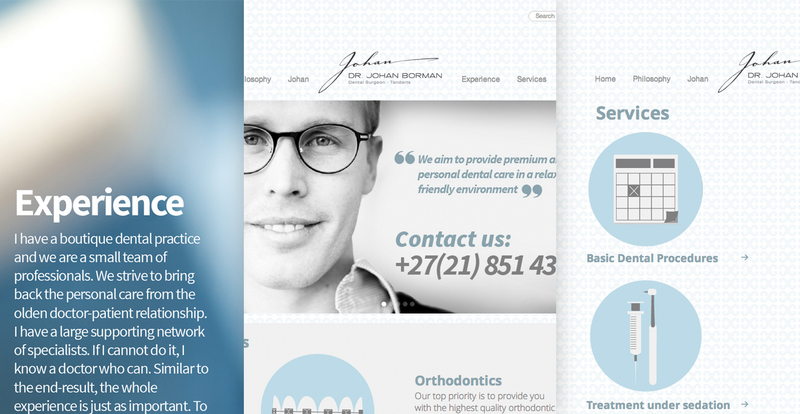 We customised the front-end design and the simple Content Management System. 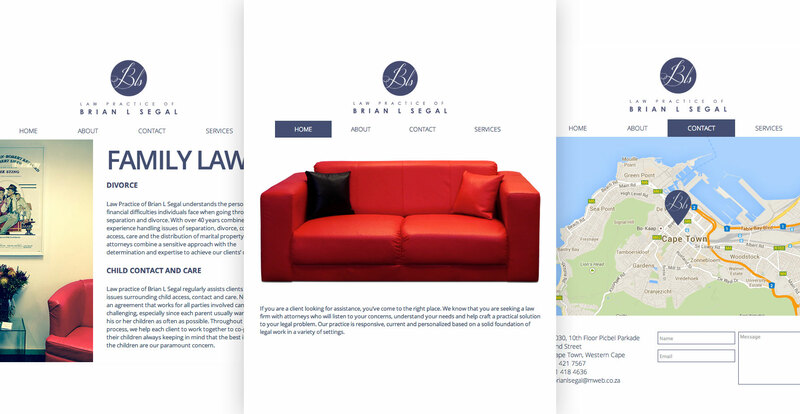 The brief was to design an online version of a business card for this friendly boutique law firm. Compact categories, brief descriptions and drop-down menu items were utilised for intuitive, functional navigation. Brian’s approach is simple and caring. The office visuals tell a story of what to expect once you step into the practise and offers a fresh take on an industry where design is known to feature the typical austere law books, gavels or scales of justice. 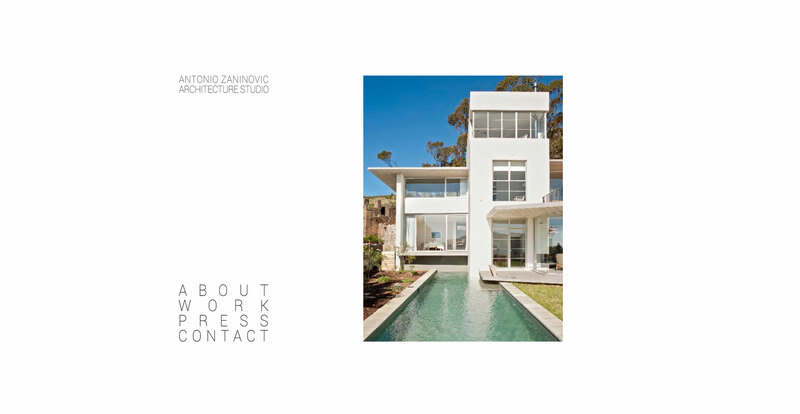 Focusing on a stunning, subtle customised web portfolio for an international, award-winning architect, the website was designed to be structured, modern and easy on the eye. It features a gallery of Antonio’s work as well as press articles. Mobile browser compatibility was key to development, integrated into a WordPress back-end for CMS. 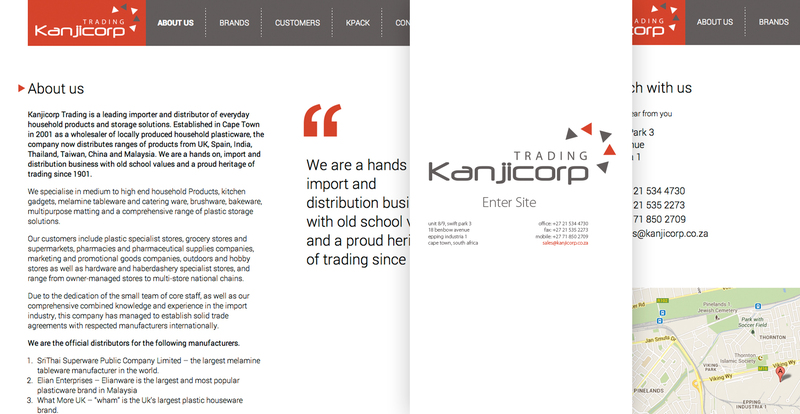 The website is a parallax-scrolling page that moves dynamically through their portfolio and company information. This creates a smooth, interactive experience for viewers. Responsive layout allows the site to display perfectly on all devices. Formative wanted a dynamic visual website that reflected their ethos and the new brand identity that DEEP has created for them. DEEP, tasked with the brand development and website design, brought together the simplistic elegance that so aptly epitomises De Kloof and created a unique and striking corporate identity that extends online. African Nature clothing is survival rich, made expressly for the African landscape and other challenging environments. 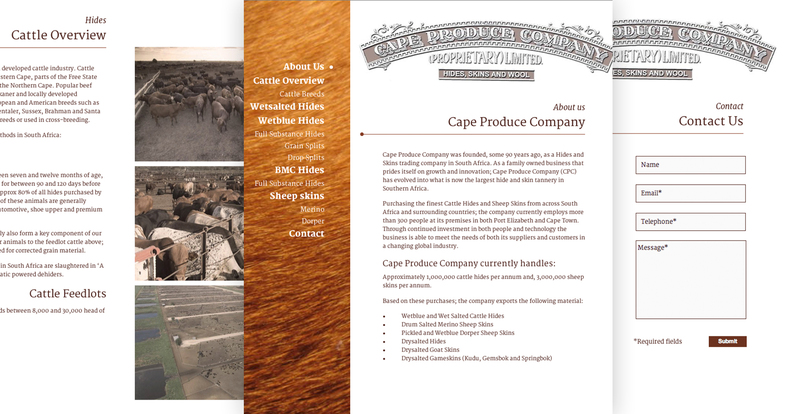 DEEP was challenged to design and develop a website that showcases African Nature’s superior clothing products in a way that is both user friendly and highly functional. They have a custom built enquiry list that lets one add products to a basket without a traditional e-commerce gateway as well as an intuitive product carousel that allows users to browse with ease.